(If you love to feed the birds and want something a little different from the traditional bird feeder, then why not try this easy to make bird seed wreath? All you need is a handful of ingredients and a mold of some kind. This is where that old bundt cake pan would really work well. All you need is a great place to hang it up. In a hurry? 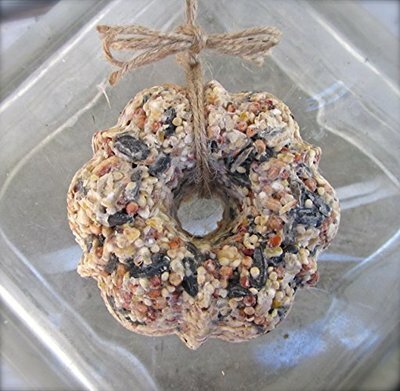 Love the idea of making a bird seed wreath but no time? Check these ones out. ​A few fresh cranberries to add some color and extra taste for birds! a mold of some kind such as a bundt pan. It needs to be something with a hole in the center. You could try and form it by hand but it is better in a mold as you can press it in hard. Refrigerate it overnight, and then the next day gently turn over your mold and the bird seed wreath should simply slip out onto a cooling rack. 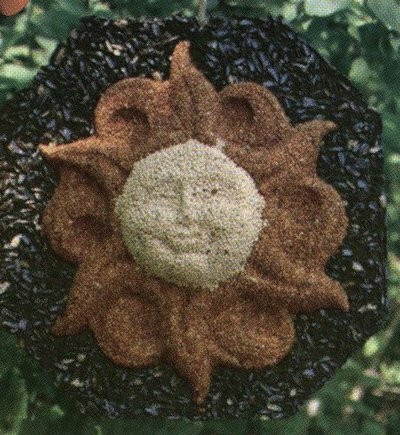 Now tie something around it so that you can hang it on a tree or garden planter hook. Try and find a place that you can see your feathered friends enjoying their treats! 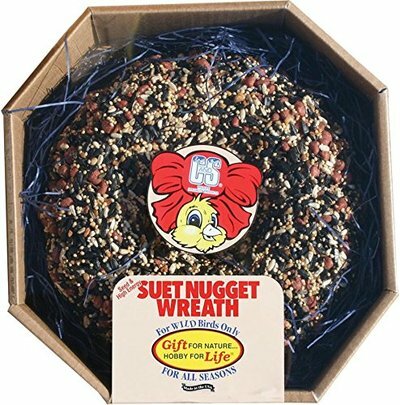 You can also purchase them online as you can see below, if you don't want to make your own bird seed wreath. If you do want to make your own and have no idea where to find the right shaped pan, then check online by clicking the tube pan below. Enjoy! I came across this kit which I thought was an awesome idea! I like to use a variety of fats in my bird seed wreaths or bird seek cakes, and with this kit, you save your excess fats (the type that will harden in the fridge such as bacon fat, lard, beef suet, not oils) and instead of storing them in old soup cans or cups and forgetting what they are, you store them in these molds. 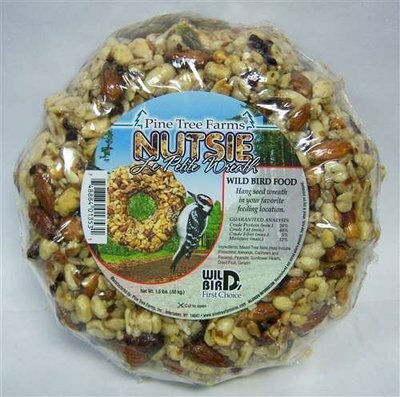 ​Once you have enough fat saved up (you just keep adding the fat to the mold in the fridge) follow the instructions on adding bird seed and nuts and you have created an instant homemade suet cake for your birds. This is a great way to use up your fats without pouring them down the drain. You will know exactly what this is in the refrigerator. I have a bad habit of pouring bacon fat into cups and they accumulate in the fridge! Check this kit out! You can get these old fashioned tube pans or as I knew them as... Bundt Cake Pans online.